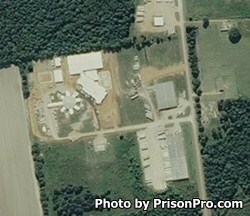 Chickasaw County Regional Correctional Facility is located in Houston Mississippi. It houses pretrial male and female inmates who are awaiting arraignment and trial. In addition, this prison holds adult medium custody males who have been sentenced, and minimum custody inmates who participate in work within the surrounding community each day. Offenders at Chickasaw County Regional Correctional Facility can participate in substance abuse treatment, fatherhood programs, horticulture and literacy classes, computer and typing courses, and even earn a GED and adult basic education all while incarcerated. This prison also has a bible college and discipleship program. Medium custody inmates visit every other week, minimum non community inmates have visits every weekend. No visits occur on the fifth Saturday or Sunday of any month. Visiting times are 8am-11am and 1pm-4pm on Saturdays and Sundays.